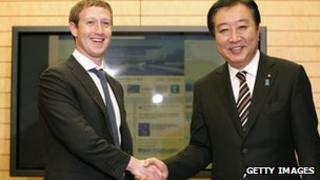 Facebook has invested in a 10,000km (6,214 mile) Asian undersea cable project. The Asia Pacific Gateway (APG) is designed to improve internet speeds for citizens and businesses in the region. The cable will run directly from Malaysia to South Korea and Japan, with links branching off to other countries. Facebook said the move would support efforts to boost membership in what was already one of its fastest growing markets. "Our investment in this cable will help support our growth in South Asia, making it possible for us to provide a better user experience for a greater number of Facebook users in countries like India, Indonesia, Malaysia, the Philippines, Hong Kong, and Singapore," a spokesman said. He declined to reveal how much money the firm was putting into scheme, saying only that a consortium of firms had invested $450m (£280m) in total. The project to construct and maintain APG is funded by a group that includes two large Chinese internet service providers, China Telecom and China Unicom. The fibre-optic cable will help the countries send and receive data to North America faster, according to consortium leader Time Dotcom. "This lowers our dependencies on Singapore as the main gateway for internet traffic," said its chief executive Saiful Husni. "We can now channel high volumes of this traffic on our network with the lowest latency [access time], directly to the US." Internet traffic can be slowed by the number of "hops" traffic has to make as it traverses different stretches of cables, and as it passes through different landing stations. The Wall Street Journal reported last month that Facebook's growth in the US had shown signs of "slowing sharply", putting further pressure on its share price. But the news was offset by a later Nielsen study suggesting the network was enjoying rapid growth in Asia. It indicated that the number of Japan-based visitors to the site using PCs had more than doubled during the year to May, totalling 17.2 million people that month. It also suggested the firm was enjoying rapid growth in South Korea, adding there was scope for even bigger gains. However, the Tech In Asia blog noted that Facebook's number of active users remains behind those of Mixi in Japan and Cyworld in South Korea - both domestic social networks that have the advantage of using locally based servers aiding download speeds. One telecoms analyst told the BBC Facebook should also benefit elsewhere. "India and the Philippines are both really heavy users of Facebook, and connectivity is patchy in and out of the countries," said Dean Bubley, from Disruptive Analysis. Facebook is not the first major US internet company to invest in internet infrastructure. Google announced in 2008 that it would invest in a $300m undersea cabling system called Unity between Asia and the US.